We are rarely explained the real life application and benefit of 3D printing in a way that we can relate to. We have seen reports of it being used for modeling guns and even some instruments. For the first time ever we are seeing how it can be used to applicable to medical uses. A new breakthrough example of this is Blizzident Toothbrush. This revolutionary toothbrush is made possible by intersecting two technologies – 3D scanning and 3D printing. So how does it work? How do you even use it? It’s actually quite simple. You essentially bite down and move your teeth around ever so gently and let it do its thing. It only takes 6 seconds for your teeth to be completely clean. They claim it’s a perfect clean. Or so, it’s claimed. 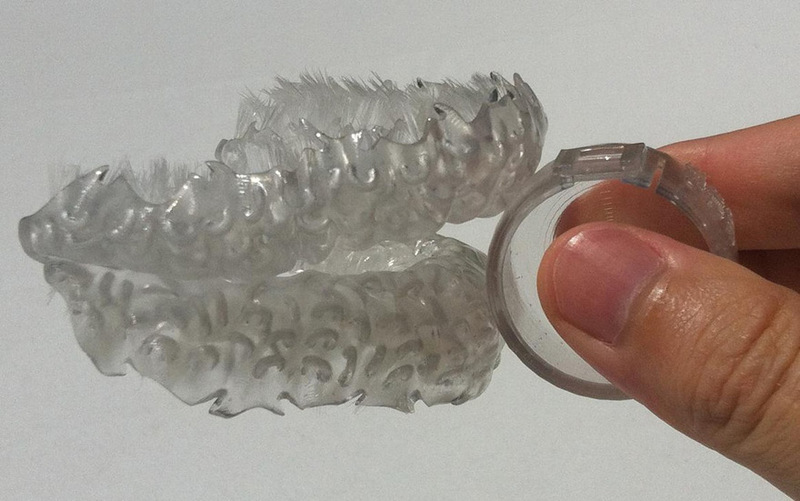 The process of how this gets customized to your teeth is actually quite interesting. You go to any dentist and receive an impression of your teeth as most dental procedures do (which shouldn’t cost much). At that point you are able to send it to a dental laboratory to digitize the results. The final part is then uploading the results to Blizzident. Like most technological advances, it isn’t without opposition or controversy. The use of this product is vital to who is using it. Meaning that if someone else gets a hold of it and tries to use it, it could potentially hurt the user and even ultimately get a little dangerous. The product is being made specifically for you, and not meant for anyone else in your household to use. This article was written by Preston Hanisko. Preston is a writer for Smith Monitoring. Follow him on Twitter, or Google+. Follow his personal blog here.